also checking QLD – we see that on the same close at 12/20 the OBV was 56 million and on 12/26 the OBV was 53 million. this is divergence and hence the market is going to go down further. The chart below shows calendar year S&P 500 returns without dividends (grey vertical bars). Below the bars are red numbers which indicate the maximum intra-year drawdowns. The chart makes clear that 10% drawdowns are fairly common. What is not common is a drawdown of only 3% which was the case in 2017. Another important observation from the above chart is that as long as the economy is not in a recession (areas shown with horizontal green bars), the calendar year returns are usually positive. The U.S. is not currently in a recession. From January 1950 through December 2017, the S&P 500 has declined by 5-10% 41 times. The average length of the decline was one month. The average recovery from the low was one month. 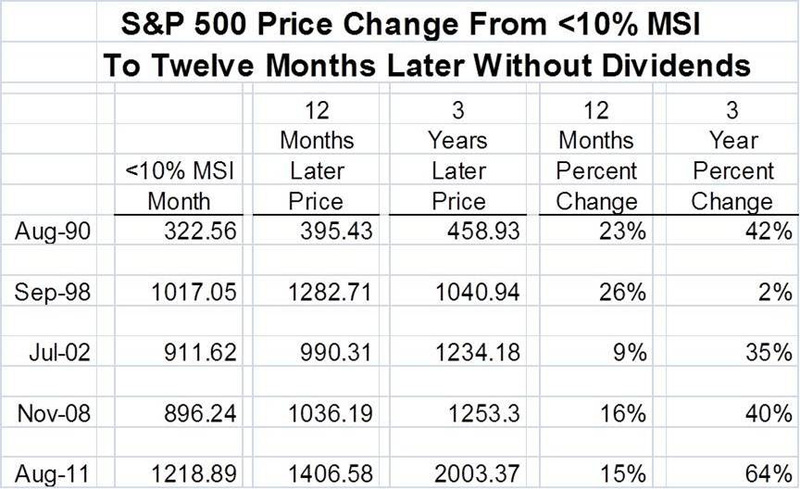 In the 11 cases that the S&P 500 declined by 10-20%, the sell-off lasted and average of 4 months and recovery took and average of 3 months. accumulation distribution (money flowing in and out of the market) gets a grade of C to D. Which means that there is a net flow of money out of the market. (A, A+ is the best time to keep the money in the market). Delta Market Sentiment Indicator is below 50. So, the bottom line is this : Stay in the sidelines, till the big money (Mutual funds, Institutional investors) get back in. PS: Source of the above article is Delta Investment Management newsletter and Investors Business daily. Does valuation matter for our style of trading? I am not a poor soul, I did not get into the market. Because the market is still in correction (How long or how short time will tell). Let me again empathize the fundamental difference. I trade based on one and only one thing – Price. I have one and only one signal – 75 day Simple Moving Average. DMSI, and IBD big picture help me a lot in confirming my signal. So valuation based on opinions don’t matter in my style of trading. The market is in correction. Distribution days have reached and have tipped over. Get in cash, to be on safe side. But the DMSI has not triggered. That is the signal is still 100% equity. I am not getting into cash as yet. I will wait and see.